ALP is an educational hub of cultures within a thriving community, connecting all people in the most diverse and amazing city in the nation. 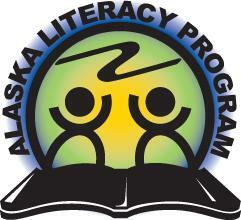 A 1 percent increase in average literacy rates yields as 1.5 percent increase in Gross Domestic Product. Your contribution helps increase our community's economic health. The estimated increase in health care costs in the U.S. due to low literacy skills is $230 billion each year. Low literacy levels make it difficult to read prescription labels, and to understand basic health risks, threats, and preventions. Your contribution keeps more Alaskans healthy. By 2018, only 10 percent of jobs will be open to those who fail to complete high school. Only 28 percent will be open to those with only a high school diploma. And 61 percent of American employers today say it is difficult to find qualified workers to fill vacancies. Your contribution ensures Alaskan employers can put skilled adults to work. A mother’s level of reading skills is the greatest determinant of her child’s academic success. Your contribution ensures girls and women gain the education they need to raise health and happy families.